"Google Grants was unknown to us a few months ago. We are looking forward to an increasing exposure of our awards, grants and methodological guidance programmes dedicated to support sustainable development initiatives." "Google AdWords could be very useful for NGOs in order to reach a wider audience and have more impact. For ECRE in particular, this would mean more opportunities to inform about the plight of refugees and asylum seekers in Europe and the challenges of defending human rights." 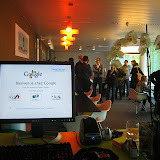 Since Google Grants launched in Belgium over 18 months ago, over twenty local NGOs have signed up to take part in the program. On April 22nd, Earth Day, the Google Brussels volunteers organized the first Google Grants workshop to help Belgian Grantees optimise their accounts. Thirty participants representing fifteen organizations turned up at the brand new Brussels office on a sunny Thursday morning. A welcome address by Simon Hampton, Director of Public Policy, kick started the day. It was followed by a workshop session on AdWords theory fundamentals where the main mechanisms required to run a Google Grants AdWords account were presented. This was followed by two parallel sessions where specialists from the Dublin and Brussels offices walked NGOs through the main steps to open an AdWords account and optimize its performance to best serve their needs. The wrap-up session offered a short overview of other free Google tools available to NGOs to promote their cause, raise money, and operate more efficiently. The workshop was well received and the whole experience of bringing the NGOs all together was really rewarding for the Google Grants volunteers. We were especially pleased with the level of involvement and knowledge of Google products showed by some of the participants. and read through previous months' round-ups or search for "resource round-up" from the search box at the top of the page. This month's resource round-up has a technology theme and includes a list of top AdWords tips from a digital communication firm, details on creating your org’s own Search Story, a new techie friend for your org’s Facebook account and a website development course, all to keep you on the cutting edge of technology in the non-profit space. A digital communication firm compiled the top eight things they think non-profits should know about AdWords, including their perspective on Google Grants, landing page optimization and understanding your audience. You can now create your org’s own Search Story, like the one you might have seen from Google during the Super Bowl. Once you’ve created it, you can post it to your YouTube for Nonprofits channel or your website to engage your constituency and drive awareness for your cause. Here’s an example of our story here in Google Grants. And while you’re hanging out on YouTube, check out the winners of the 4th Annual DoGooder Nonprofit Video Awards. If you use Facebook, you can friend Cloud for Good and get regular tips on cloud technology solutions for non-profits. Cloud for Good works with organizations to create strategic solutions based on integrated technology. Whether you’re designing an intranet for use by your org’s employees or an external website for all the world to see, you can learn how to build a functional and appealing site during an upcoming hands-on workshop with NTEN. second post in this three-part series about the new AdWords interface provided a quick navigational guide describing the ‘Campaigns’ tab in your Google Grants AdWords account. In this post, we’ll talk in more detail about tracking your account’s performance via the Report Center. Find the Report Center for your account under the ‘Reporting’ tab > ‘Reports.’ This page will show your last 15 reports and any report templates that you have created and saved for future use. Clicking ‘Create a New Report’ takes you to the following page where you can decide what report you wish to run, the date range, the way you want to view the report, campaigns and ad groups for which you want to run the report, and filters that you may want to apply. This page also gives you the option to save the report as a template for future use, schedule the report to run again and even email the report to multiple recipients. Depending on which report type you select, the rest of the page will reset to provide the relevant blend of customizable options. The Google Grants Help Center talks in greater detail about the Report Center and about using your saved report templates. ‘Change History’ displays changes you’ve made to your account in the last three months. This information helps keep an updated record of your account settings and changes. ‘Conversions’ talk about conversion tracking data for your ads. A conversion is any action you consider desirable that a user takes on your website after clicking your ad. These actions, such as a sign-up, donation or purchase, filling out a form or even viewing a page, can be tracked as conversions. Read more about implementing and using conversion tracking. Google Analytics is a free tool in your AdWords account that offers insight into your campaign performance and website design. It shows you how people found your website, how they explored it, and how you can enhance their visitor experience. Learn more about Google Analytics. Finally, the Website Optimizer is one more free tool that Google offers to explore different landing page designs. Elsewhere in this blog you will find a series of six posts on using the Website Optimizer: Part 1, Part 2, Part 3, Part 4, Part 5 and Part 6. Here’s one Grantee’s experience working with this terrific tool. This concludes our series on making the most of the new AdWords interface, and we hope it will make working with these tools much easier for you! The second post in this three-part series about the new AdWords interface provided a quick navigational guide describing the ‘Campaigns’ tab in your Google Grants AdWords account. In this post, we’ll talk in more detail about tracking your account’s performance via the Report Center. For example, let’s say your organization offers food assistance and one of your keywords is “food stamps.” It would be great to know exactly what people are typing into Google when looking for food stamps. Maybe they are searching for ‘apply for food stamps online.’ If that were the case, then we could add a link to the landing page where people could apply online. We could also create a new ad group dedicated to applying for food stamps online to take advantage of the traffic. We could get more traffic to the site and help more people get needed food stamps. Well, you can find that information in a Search Query Performance report. It is a helpful report highlighted recently in one of our Advanced Webinars. However, there is an even easier way to get that information without having to run a separate report. You can view that information in the ‘See Search Terms’ button on the keyword tab of your AdWords account. The report will provide all kinds of interesting information. Let’s take a look at an example and how the information can help you. Add the two search terms ‘food stamps nyc’ and ‘food stamps ny’ as keywords to your account to make sure they continue to trigger your ads. You can do that by clicking on the check box to the left of the search terms, then clicking on the ‘Add as keyword’ button in the upper left corner. You could also create a new ad referencing foods stamps in NYC. The ad would be more specific, and should therefore bring more traffic to your site and increase your account’s CTR. Another idea is creating a new page on your website about applying for food stamps. You could include information about criteria for food stamps and how to apply online or in person. The two search terms ‘food stamps eligibility’ and ‘apply for food stamps online’ could be put in their own ad group along with other keywords and direct people to the new website page. Next time you’re in your account, check out the ‘See Search Terms’ button and try making a few additions to your campaigns to take advantage of this helpful optimization tool. Ever wonder what people are searching for when your ad is triggered? Join the Google Grants Community! In order to maintain a healthy balance of growth and nonprofit success, we are working on establishing an online Google Grants community through our discussion forum. Through this community, you are able to provide support to one another based on experiences in the program, help Google identify program pain-points, and ask each other for tips on achieving goals. I also am part of this community, hoping to address common concerns on a broader scale. The discussion forum is broken out into different categories, representing the main program components. For example, the “Google Grants Basics” category is an outlet to discuss the application process and program eligibility. In the category “Creating and submitting your AdWords account” you can learn about and discuss the account submission and review process. Once a month, I will be highlighting a hot topic in the discussion forum on the blog. So, I encourage to join the community, browse the discussions, and start conversations with other non-profits about your experiences in the Google Grants Program. Stay tuned for the first hot topic next month! I am excited to report that in the past few years, the Google Grants program has seen tremendous growth! While growth of this program is important, we also want to ensure that our current grantees are able to learn, manage, and excel within the AdWords program. our testimonials page as well. There are new additions coming all the time and you can submit yours, too. In a perfect world, visitors would donate to your cause or complete your intended action on their first visit. But, as you likely know already, this isn’t always the case. There is often a “getting to know you” period before a visitor becomes a sponsor, for instance. However, if you learn about the true lifecycle of your sponsors (their actual behavior on your site and the time/visits it takes them to convert), you can set your goals accordingly and see more accurate results. While it’s crucial to track and measure the goals associated with your managed marketing initiatives (AdWords campaigns, email newsletters, etc), don’t forget to track conversions from organic traffic and integrate them with your success metrics. Donations made from folks who found your site via organic search results are just as valuable as those who came through your pre-determined channels. While donations are a high priority for most non-profits, try tracking connections you’re able to make between your constituency and the information you offer to see the less direct value of your marketing initiatives. Downloads, pageviews and time on site are good ways to measure the level of connection between those you’re serving with the information you provide. As much as your goals differ, the method by which you track their success should differ as well, so that you’re able to see true progress and success for each unique goal. For instance, you could set your campaigns up by goal, so that you can customize their messaging and tracking accordingly. For example, an awareness campaign with an offer for information could have a success metric of a certain number of pageviews and a donation campaign with a strong call-to-action could have a success metric of a certain amount of donations made. Just knowing that visitors aren’t converting on your site isn’t usually enough to fix the problem. By understanding abandonment rate, you’ll be able to see where visitors are leaving your site and at what rate so that you can improve those points on your site and the messaging that leads people to those pages. 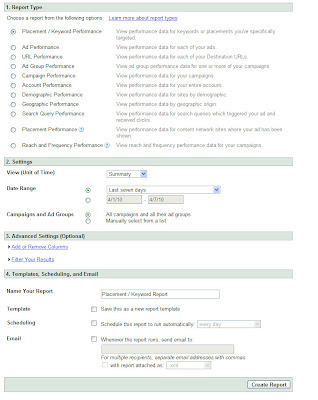 This seems like a no-brainer, but one of the easiest ways to make the most of your AdWords budget is to remove or optimize underperforming keywords (low quality score, low CTRs) and “reward” keywords and campaigns that perform well by allotting more budget to those efforts. In the same vein as the previous topic of sponsor lifecycles, tracking metrics other than clicks can help you gauge the success of these other visitor activities. For instance, by tracking time on site by new visitors, you will be able to see how your marketing initiatives impact these activities and when time on site increases you’ll know you’re going in the right direction with your strategy without having to wait for improvement from more direct goals, like donations. Most businesses, for-profit and non-profit, have a “high season” during which time a large portion of the year’s revenue is generated. Some savvy grantees have developed strategically focused campaigns to get the most out of their “high seasons” so that they can maximize donations and make those funds work for the rest of their calendar year. Once you've determined the span of your org's high season, you can work on a focused plan to take advantage of it. We’ve posted lots of AdWords tips and strategies on this blog and in the Google Grants Help Center that some grantees are using to improve their CTRs and conversion rates. 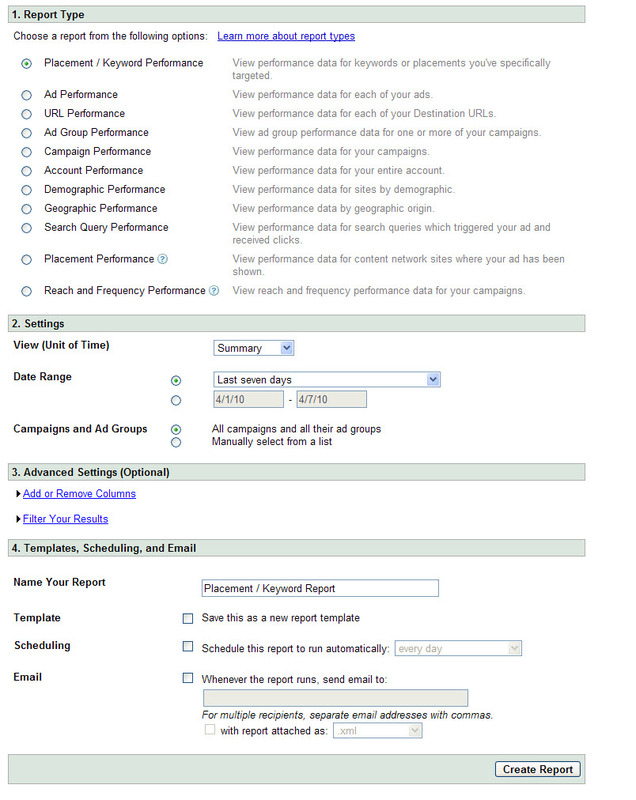 Paired with consistent testing, these strategies can help you improve your campaigns. If you offer informational resources of any kind (like PDF downloads or specialized pages on your site), you can track usage rates and/or requests to measure involvement or interest in your organization’s programs. When you’re building new marketing strategies, think about what keywords and ads you’ll focus on and then build an AdWords campaign to support your new strategy. Many non-profits are feeling the pinch from the recession, but some are letting their Grants AdWords account take up the slack from costly marketing initiatives. Moving marketing messaging and initiatives to your Grants account is an effective way to keep your name out there and achieve your org’s goals despite the impact of economic hardships. Check back each quarter, or better yet, add our RSS feed to your reader or Gmail inbox, to get the latest in AdWords expertise from non-profits around the globe. You can read previous summaries like this by clicking here or searching this blog for "Grantee best practices summary". If you've had a recent success with AdWords or Grants that you'd like to share, please visit our discussion forum to share with other grantees right now. The best practices this quarter followed very similar themes, with a focus on analysis and strategic planning. You can check out more grantee tips on our testimonials page as well. There are new additions coming all the time and you can submit yours, too. 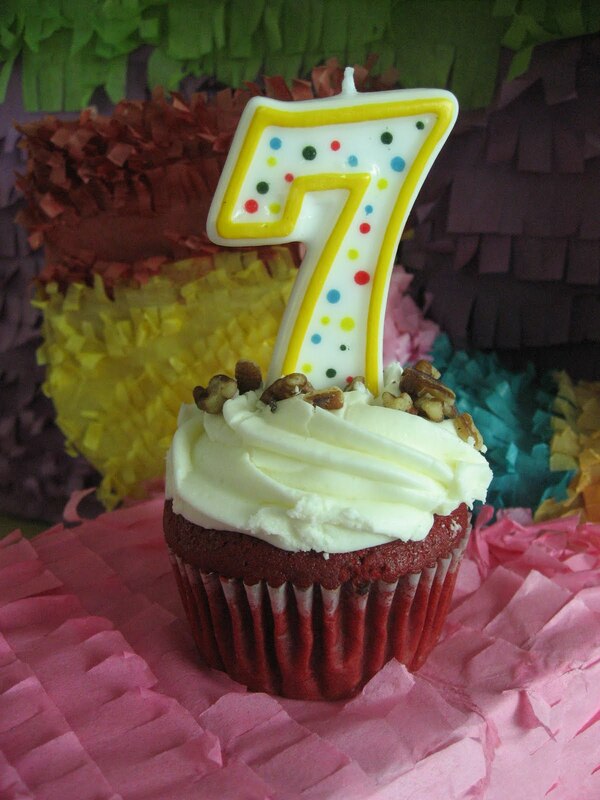 2010 marks the 7th year of Google Grants and to celebrate our birthday, we'd like to share 7 pieces of Grants-specific AdWords wisdom from the Google Grants volunteers. Maximize your ad: You don't have to repeat your organization's name in your ad text if it's already included in your URL. Send the right message: When creating your ads ask yourself this question, "If I searched on this keyword, would I expect to receive this kind of offer?" People are expecting to find what they are looking for, so make sure your keywords are relevant to your ad and its call to action. Negative keywords are your friends! Even after your campaign is up and running, keep an eye on search queries to find new negatives to add to your campaigns. For instance, if your organization offers educational games, you could add "xbox" to your gaming ad groups to improve your campaign's performance. Change is good: Log in often and tweak, tweak, tweak! Make your ads stand out: Make your ad text relevant, but emotional. Most of the causes that you're serving are heartfelt. This change will make them stand out from the paid ads on the page. Make your AdWords account a reflection of your website: This will help you create an account with the best structure by using different ad groups focused on the different sections of your website. Use targeted keywords and URLs that direct users to the most targeted page of your site. Embrace analytics: Even if you use it only to find out what keywords users are typing into search engines to find your website, it's well worth the effort and will open up a whole new world of opportunities for connecting with your constituency. And since we have a soft spot for birthday traditions - here's an extra "one to grow on" - a whole list of tips from the Google Grants volunteers.